Finally fixed one little thing that was annoying me on my work laptop with OS X 10.8.4. I couldn’t double-tap to drag files or make selections. If you want to reactivate the classic double-tap-and-drag gesture, it’s possible, but the option is well-hidden. Instead of being in System Preferences under Trackpad, it’s actually under System Preferences > Universal Access > Mouse and Trackpad > Trackpad Options. Click the check box that says “Dragging” and you should be all set. 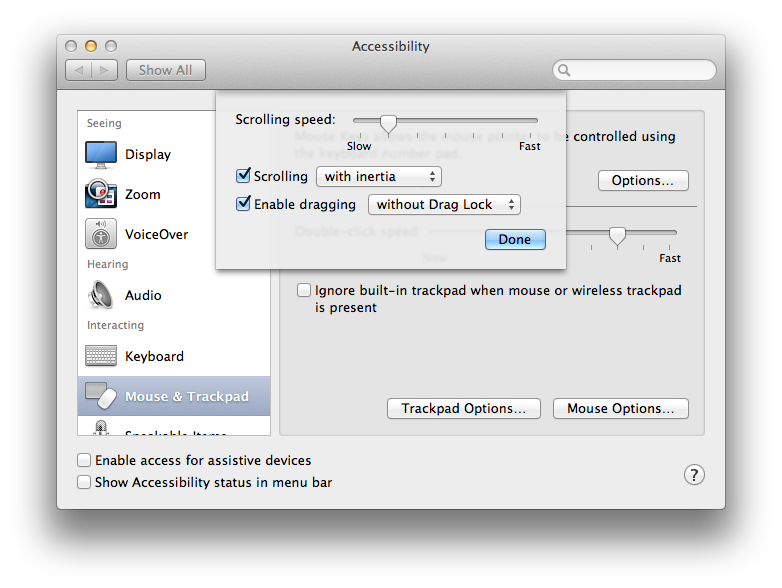 In Mountain Lion, it seems that “Universal Access” was renamed to “Accessibility”. Thank you – super helpful!